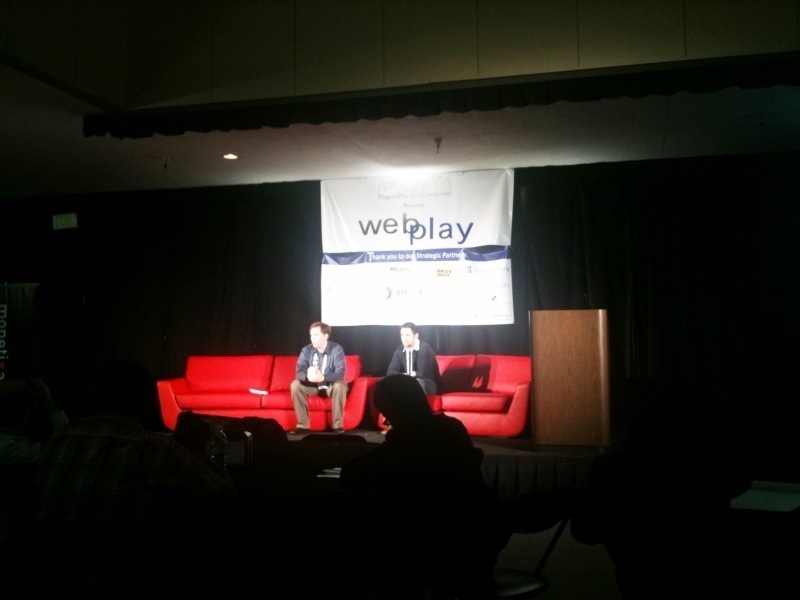 WebPlay event at Plug and Play. Discussion is about monetization models for web startups. Louis Gray says offering exclusive access to certain features, services and events to premium clients can be a successful model. LinkedIn has an easy and well working business model on providing access to key decision makers and employee candidates. This could be brought to Twitter by offering premium analytics and services for companies wanting to leverage the chatter about their products and services. Nice quick summary. Thanks for coming. We sure look shiny up there, don't we?